The existence of tigers goes back a little more than a couple of million years, based on the oldest fossils of the species Panthera zdanskyi. The species was found in the Chinese province of Gansu and is believed to have lived 2 million years ago during the Pleistocene era. This evidence suggests that Tigers and their descendants had their origin in this Asian country, and with time they acquired a greater size, induced by dietary adaptations. The complete skull of Panthera zdanskyi, known colloquially as the Longdan tiger, is the oldest fossil that has been found and is quite similar to the head of the present Tigers. This discovery and the morphometric and cladistic analyses confirm that is the most primitive tiger species. The Javan tiger is the oldest species of a tiger as it is known today, according to the fossils found in China and Sumatra, dating from about 1.6-1.8 million years ago. By the end of the Pleistocene, the Tigers spread to the north of Asia, India, the bridge of Beringia, the island of Sakhalin and Japan. 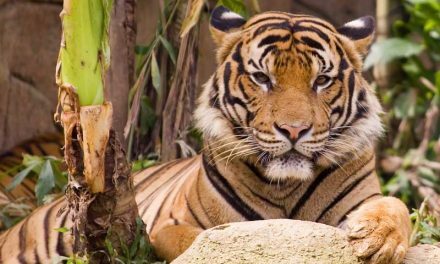 The islands of Borneo and Palawan already housed tigers in the Holocene. The group of large cats made up of tigers, lions, leopards, and jaguars, all belong to the genus Panthera and are closely related to each other. However, a genetic study in 2010 led by the scientists Brian Davis, William Murphy and Dr. Gang Li revealed that the tiger is closely related to the snow leopard and their existence is older than initially thought since they began to evolve about 3.2 million years ago. However, both species separated from the rest of the genus and developed. 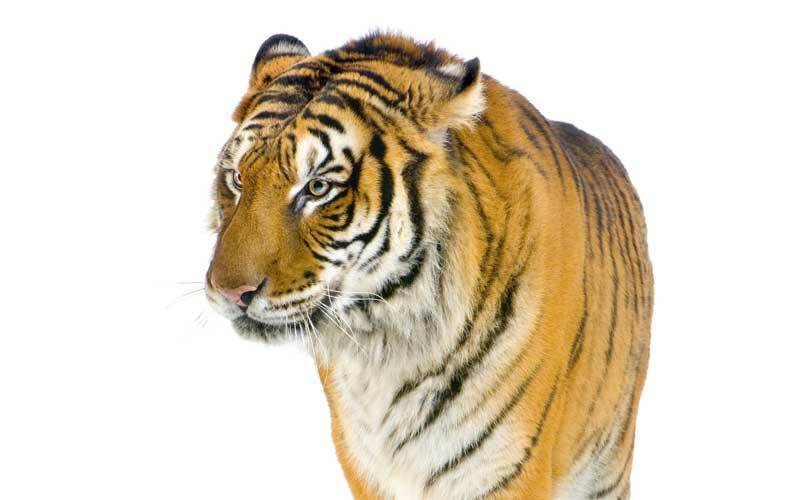 The study has meant a clearer understanding of the origins of Panthera tigris. From this base, the tiger and the snow leopard diverged from a common species about 3.9 million years ago, and the lion, jaguar, and leopard are more closely related. 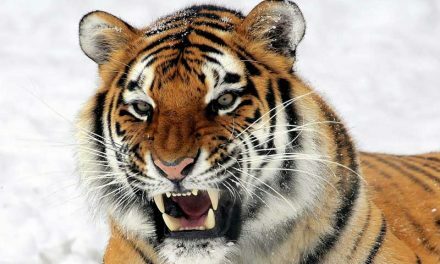 The restricted flow of genes between the tiger populations of China and Central Asia probably caused the gradual evolution of different but similar subspecies in their physical appearance. 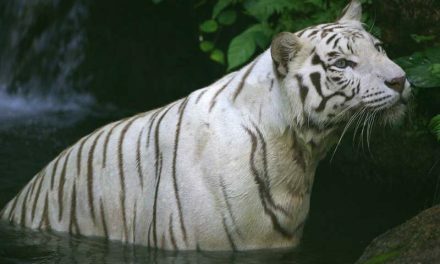 In 2013 the complete genome sequence of the tiger was published and comparisons with the white Bengal tiger, the African lion, the white African lion and the snow leopard. The findings, published in the journal “Nature Communications,” confirmed that Tigers experienced genetic mutations that allowed them to adopt a carnivorous diet. An interesting fact is that the tiger shares 95.6 percent of its genome with the domestic cat (Felis silvestris catus), having separated from it about 10.8 million years ago. According to scientist Jong Bhak, the discovery of the genome could be useful to support the conservation of these felines, which are in danger of extinction. There is still a long way to go about the evolution of the tiger, but above all, there is a lack of information on how it evolved. Hopefully, in the coming years, the genetic research will provide more information. 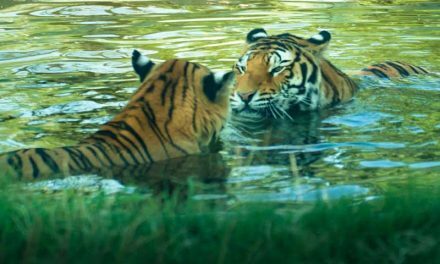 The earliest remains of tigers found in China are more than 2 million years old. These fossils indicate that the ancestors of existing Tigers were much smaller than they are today. 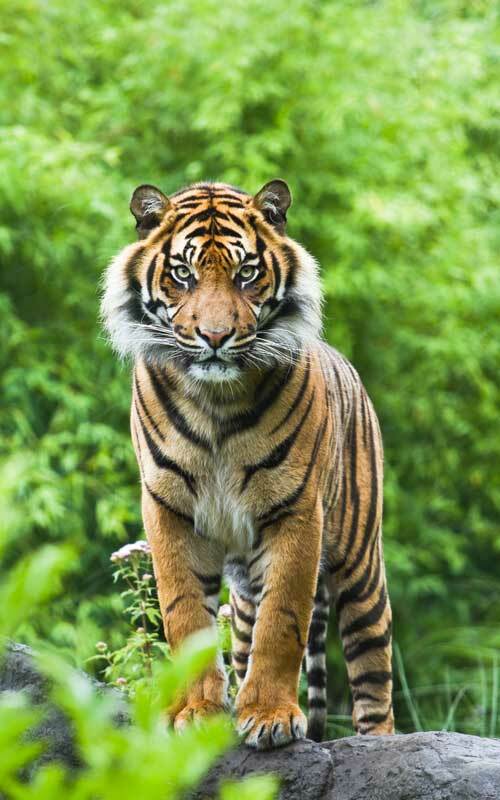 The Sumatran tiger is the only island subspecies still alive today. However, genetic profiling shows that the Sumatran Tiger is different from the other mainland species. The theory is that they were isolated from the other species thousands of years ago due to a rise in the sea level. The Bengal Tigers moved into the area around the Indian subcontinent about 12,000 years ago. Tiger evolution will have better explanations as new technologies emerge, and new fossils are discovered.